Vans Warped Tour has announced the main line-up for its final ever cross-country tour. 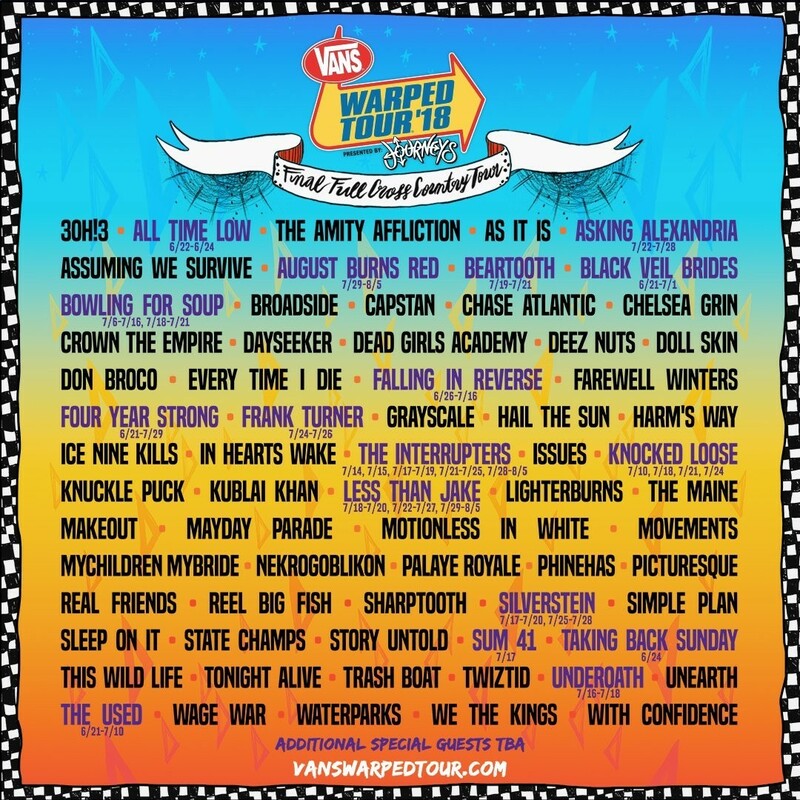 Featuring the likes of All Time Low, Waterparks, As It Is, State Champs, Asking Alexandria, Palaye Royale, The Maine and SO many more, it's set to be one of the biggest and best Warped tours for a long, long time. Who's playing Vans Warped Tour 2018? Well, meet the bands currently announced below. The tour says there are more special guests yet to be announced, and all bands are scheduled to play the full tour unless otherwise stated. The tour's founder Kevin Lyman spoke to Rock Sound a few weeks ago about his reasons for ending the cross-country tour, what the future holds for Warped and much, much more. Read his fascinating interview right here. This year's tour kicks off in Pomona on June 21, and the final date of Warped's final ever cross-country run will be in West Palm Beach, Florida on August 05. Regular admission tickets go on sale on March 08, and you can check out the full list of dates below.